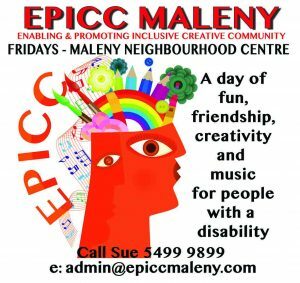 EPICC Maleny provides creative learning and socialisation opportunities for people with disabilities in our community. EPICC’s creativity program commenced operation at the Maleny Neighbourhood Centre in January, 2016. The program offers an innovative, post-school educational experience designed to foster and enable the learning of new skills and strategies, facilitate self expression and provide socialisation opportunities in our local community. There are literacy and creative learning experiences involving writing and other creative modes including music making. 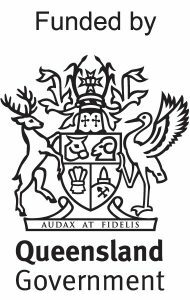 These experiences aim to enable the learning of new skills and strategies, facilitate self expression and provide socialisation opportunities within a local community context. Although the creativity program is primarily being provided for youth and adults with disabilities, other interested persons are most welcome to join. See our website www.epiccmaleny.com for more information or Download the EPICC brochure HERE.